Themes: Hi-Lo, adapted classics, low level classics, graphic novel. These literary masterpieces are made easy and interesting. This series features classic tales retold with color illustrations to introduce literature to struggling readers. Each 64-page softcover book retains key phrases and quotations from the original classics. 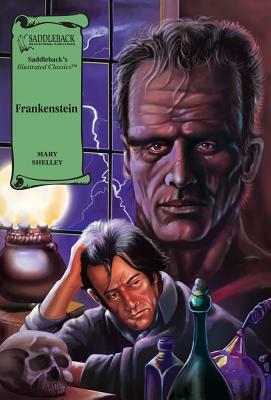 When Victor Frankenstein, a brilliant scientist, tries to create life in his laboratory, the result is an ugly monster. Instantly feared by all who see him, the hated monster is driven into the countryside. Never given a chance at friendship or human companionship, the monster plots a terrible revenge.